Minimalist style, geometric necklace with Emerald gemstone. 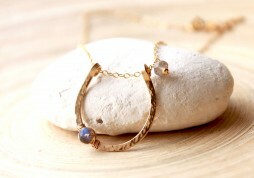 Gold filled bar necklace, birthstone jewelry. May birthstone gift. Bar is 2.5″ long, hand forged from Gold filled wire and hammered with one genuine Emerald bead, wire wrapped with gold wire. The necklace is approximately 17″ long. Extension chain – by request only. Shipping in 24 hours, worldwide from Toronto, Canada. 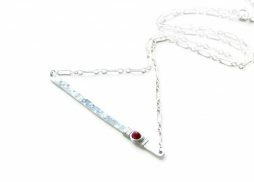 Minimalist bar necklace with gemstone – birthstone jewelry. Custom bar necklace with birthstone. Necklace is 16″ long with 1.5″ extension chain. 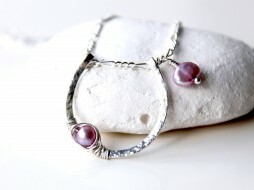 Bar is 2″ long with 1 birthstone, chosen by you, wire wrapped in sterling silver wire. 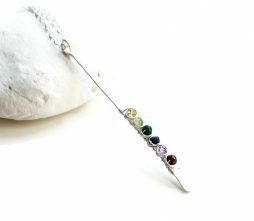 Minimalist bar necklace in sterling silver with 6 gemstones. Pride jewelry, sterling silver layering necklace. Bar is 2.5″ long, total length of the necklace is 17″ with 1.5″ extension. Materials: sterling silver, AA quality genuine gemstone rondelles. Vertical bar necklace – Pride jewelry. Bar necklace in sterling silver. 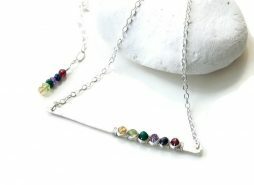 Vertical bar necklace with 6 gemstones. Pride jewelry, long layering necklace. Trends. Sterling silver long necklace, chain is 22″ long, bar is about 2 1/4″ long. 6 wire wrapped high quality gemstones. Extension chain 1.5″. Materials: sterling silver, AA quality gemstones. 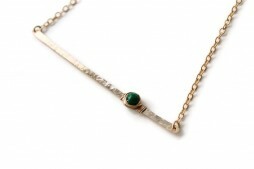 Gold filled Emerald necklace. May birthstone gift. 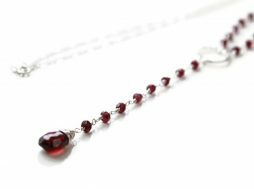 Charm necklace with natural gemstones. Necklace is handmade from gold filled wire. 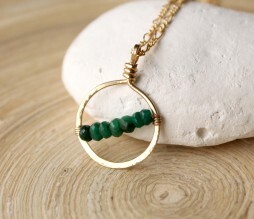 The circle pendant is with about 18 mm diameter and has a string of genuine Emerald beads in diagonal inside. The total length of the necklace is 18″. For a different length, send me a note with your purchase. Materials: 4 mm Genuine Emerald beads, faceted, round. Gold filled wire, gold filled chain and clasp. Item ships in a gift packaging from Toronto, Canada. Sterling silver charm necklace with genuine Emerald beads. May birthstone necklace. Emerald Necklace – graduation gift. Necklace is 18″ long with an extension. 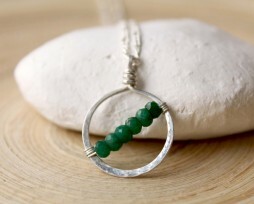 The charm is handmade from silver filled wire, circle with diagonal string of 4 mm, round, faceted emerald beads. Materials: sterling silver chain and wire, silver filled wire, genuine emerald beads – 4 mm, faceted. The necklace ships in a gift packaging from Toronto, Canada.